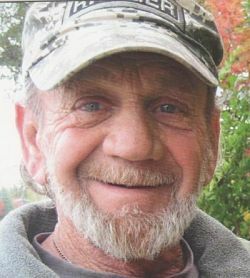 Richard Michael Martin, age 70, passed away peacefully at his home in Diamond Springs, California, on July 13, 2015, after a courageous battle with cancer. Richard was born on October 7, 1944, on his family’s farm in Pennsylvania. He was the son of Michael “Mike” Dominic Martin and Mildred Mary DeMark Martin. Richard was predeceased by his sister, Gloria Jean Torres, and her husband, Albert Torres. Richard graduated from Santa Barbara High School in 1963. He was an Army veteran, having completed Ranger training with the 75th Regiment of the 101st Airborne Screaming Eagles. The discipline and patriotism he learned in the Army never left him, as his friends and family will attest. Richard spent many years as a commercial fisherman and was the owner of several seafood restaurants in Southern California. Following this, he spent several years completing many landscape and structural renovation projects throughout Santa Barbara County and surrounding areas. Richard retired in 2005 and pursued his passion of creating beautiful cabochons (pendants made from stones, fossils, abalone and other things) for his friends, family members and even total strangers, making them all feel extra special. Richard is survived by his devoted wife, Kathleen “Katy” Martin, two daughters, Tracie Marie Forse and Andrea Marie Martin, and one son, Jeffrey Allen Green. He also leaves behind two grandchildren, Shane Walker Forse and Austin James Forse, his sister, Dolores “Dolly” Fassio, and her husband, Fred Fassio, his nephew, Casey Labbitt, and his four nieces, Amy Humes, Cindy Garcia, Cathy Balboa and Michelle Sames, as well as many loving friends. Richard was a protector of women, children and animals. He lived an amazing life and saw beauty in common things others would consider ordinary, like rocks found in creek beds, the sheen that develops on the surface of the ocean, sunsets during stormy weather and desert landscapes. He was extremely intelligent and quick-witted with a great sense of humor and a positive outlook on life. Those wishing to honor the memory of Richard Michael Martin and assist others who need help are requested to make donations to his favorite charity, Shriner’s Hospital for Children.